The World Cup is over. My German friends are still shouting "tooooooooooooor"with a pint in hand - and my Argentine friends are still feigning a smile... We now know that Benedict has a stronger link to the Big Guy than Francis. 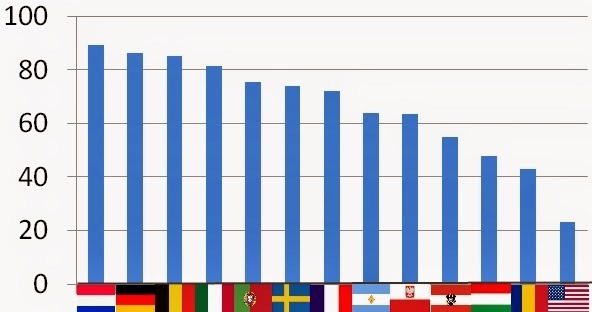 I saw some interesting data just now on what percentage share of residents from different countries were watching broadcast final games of the World Cup. I decided to compile the data into an easy format for comparison purposes. All data is from here, here and here. We can see that the Dutch and Germans have the highest percentage share of viewers. This relates to some World Cup sponsors that I've been tracking using Brand Mojo data. The full video is here. The biggest surge in ratio of lovers to haters of all Fifa World Cup brands was had by Adidas- and this was driven off of the European ratings. If the German soccer team win did help to drive the German brand up, it may be wise for sponsors to negotiate the $70 million sponsorship based on success of their country-of-origin team. I love hearing from my former marketing students. One recent graduate of my brand class dropped me a note with a link to his Ted talk. 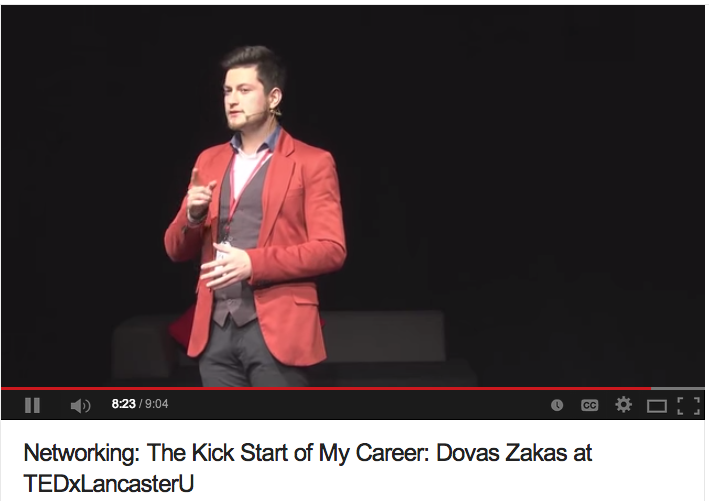 He has some excellent advice on launching a career. Take it away Dovas.